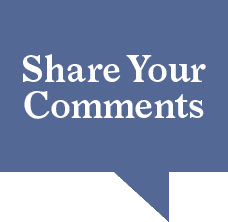 Have you ever noticed how some people’s names fit perfectly with some aspect of their profession, hobby or personal characteristics? There is actually a name for this. It’s called an “aptronym”. It was coined by modifying the word “patronym” (a name derived from the name of a father or ancestor), replacing the “pat” with “apt”. So an aptonym is a name derived from a particularly appropriate or suitable characteristic. The mysterious thing about aptonyms, though, is that the name is often given even before the characteristic it denotes is even known: as if it somehow dictates future. 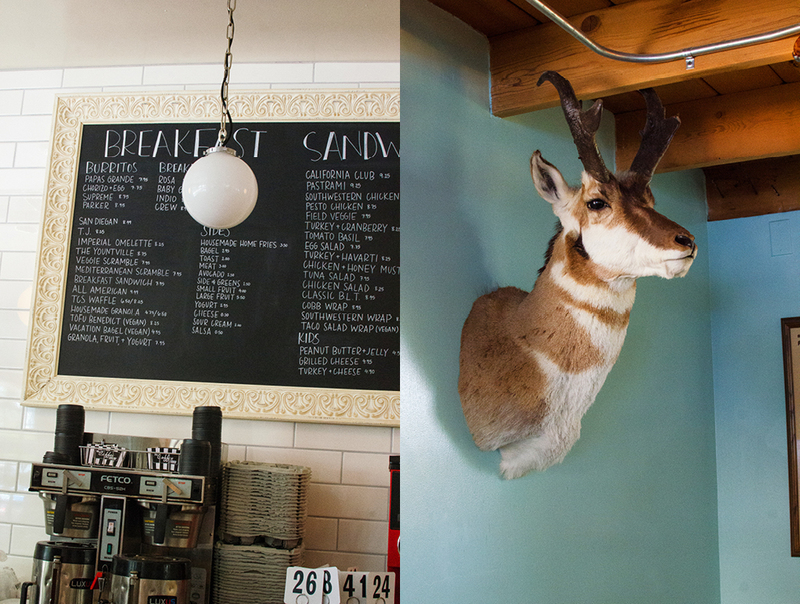 It can happen to places as well as individuals. Mesa was named for its unique geography, with its raised flat-top areas in the landscape. To the Spanish, the geographic features looked like tables, so “Mesa” was the name they gave it. But now that Mesa has developed into one of the area’s breadbaskets for fresh seasonal produce, the “table” designation is pretty apt; the “Mesa” part of the Mesa food scene provides an apt analogy of how local restaurants are taking advantage of their local produce by promoting their farm to “mesa” (table) bonafides. 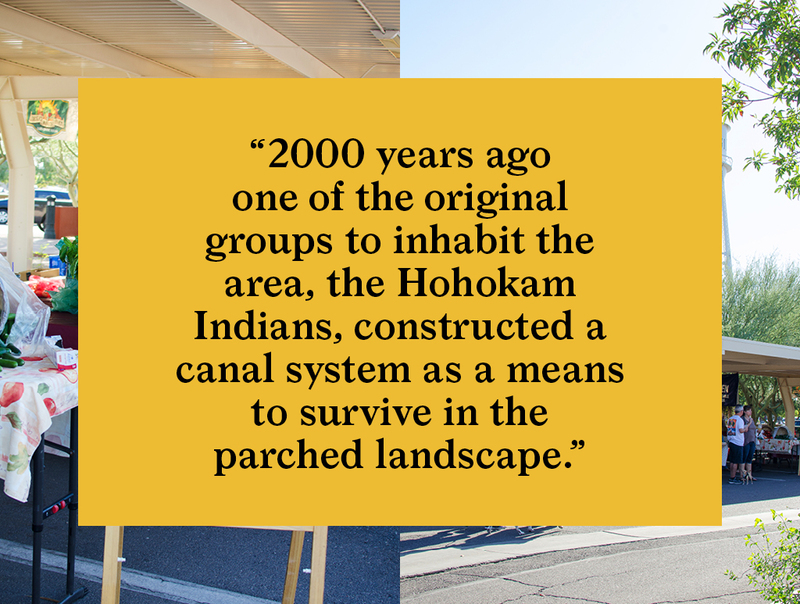 To make the story even more interesting, 2000 years ago one of the original groups to inhabit the area, the Hohokam Indians, constructed a canal system as a means to survive in the parched landscape. The system eventually extended to over 125 miles. Parts of the ancient canal system are still in use today. In fact, they form the aqua lifeline which makes Mesa the backyard garden for nearby Phoenix and Scottsdale. 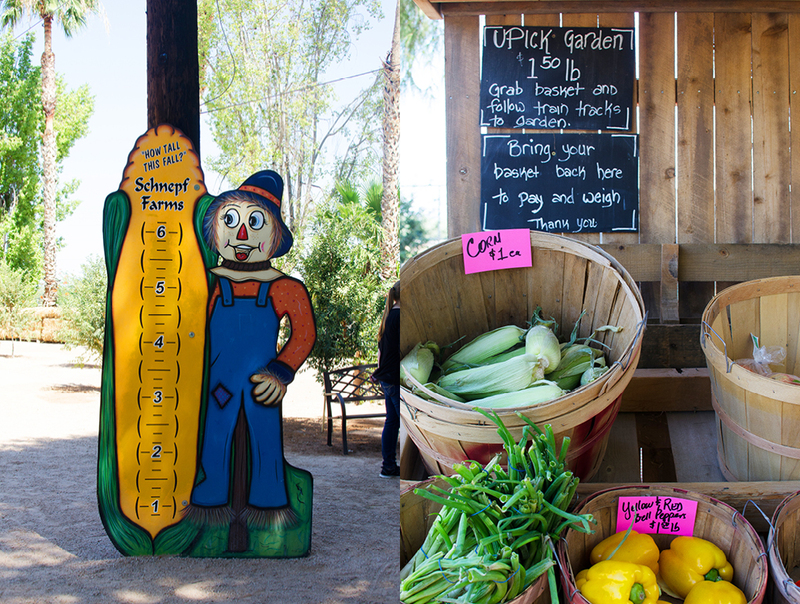 The Mesa food producers provide year-round produce–citrus in January, peaches in May, and olives in October. 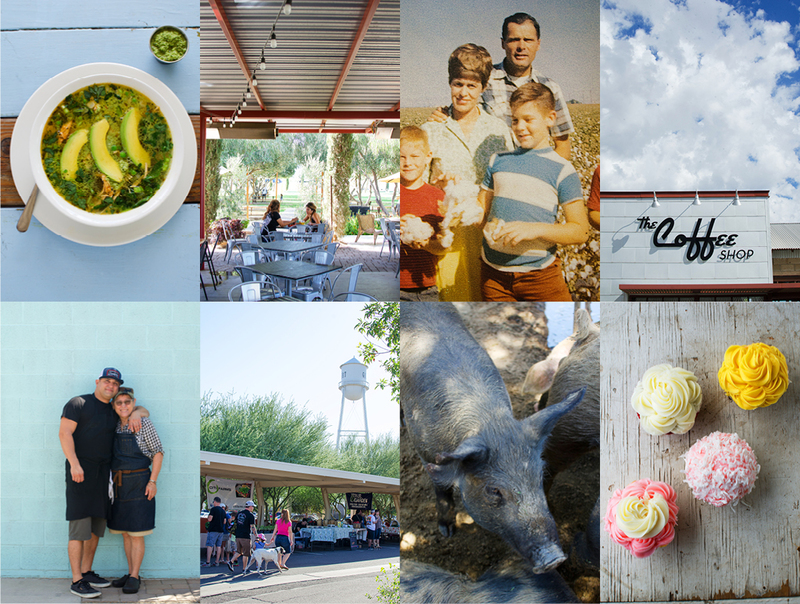 The Mesa food scene has become the tabletop of the area, providing fresh food experiences through the treasured heritage of family farms, town markets, and memorable local festivals. It is early Saturday morning as we begin our self-guided fresh Mesa food tour in the town of Gilbert, at its weekly farmer’s market. 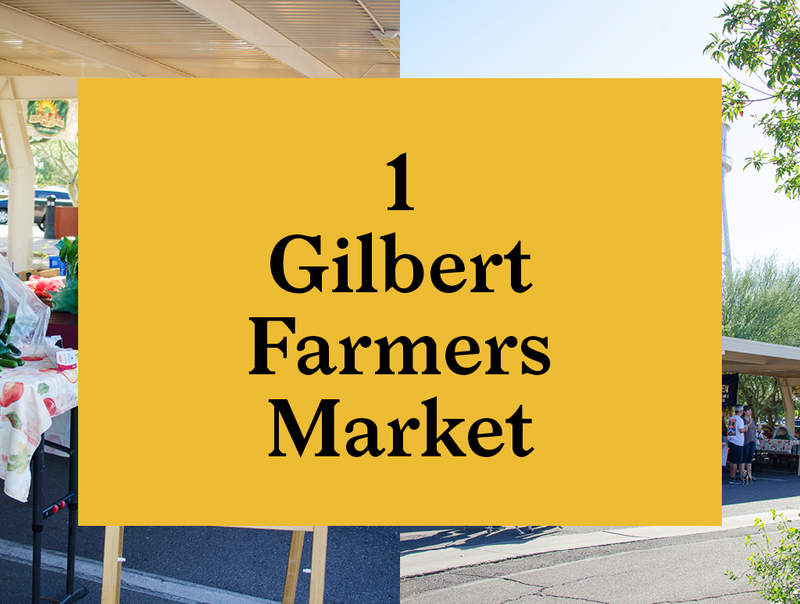 Gilbert’s Saturday Farmers Market is located downtown, just west of the iconic Water Tower. 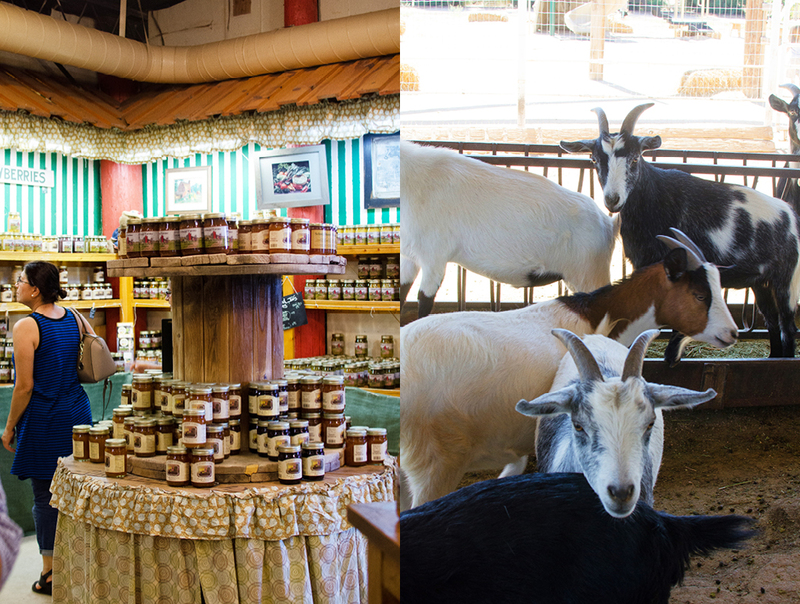 The market features local, organic produce from many farmers, farm fresh eggs, meat, cheese, bread, sweets, coffee and tea, sauces, seasonings, and many other locally made artisan products. Every weekend, bright and early, you can find lots of families and locals browsing the stands for their weekly supplies. 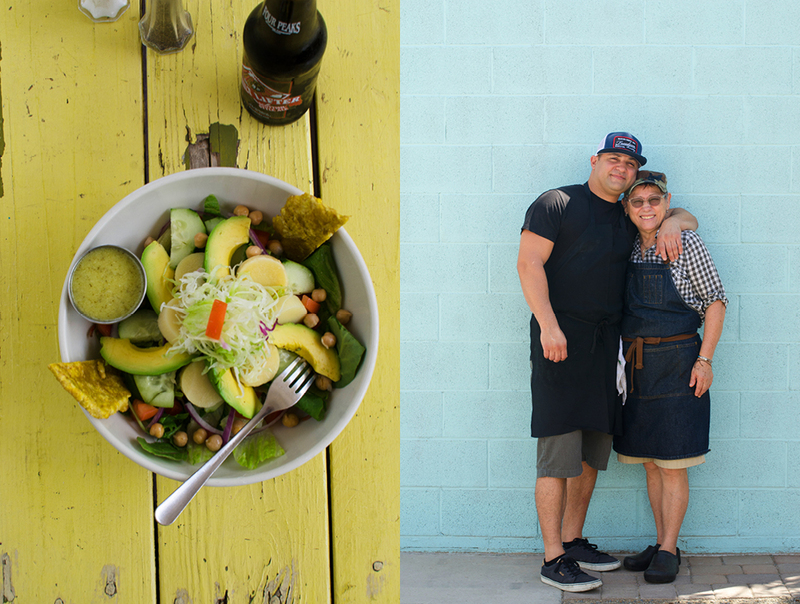 The team behind the market prides itself on promoting local sustainability, healthy eating and green living practices in the town of Gilbert and the surrounding areas. 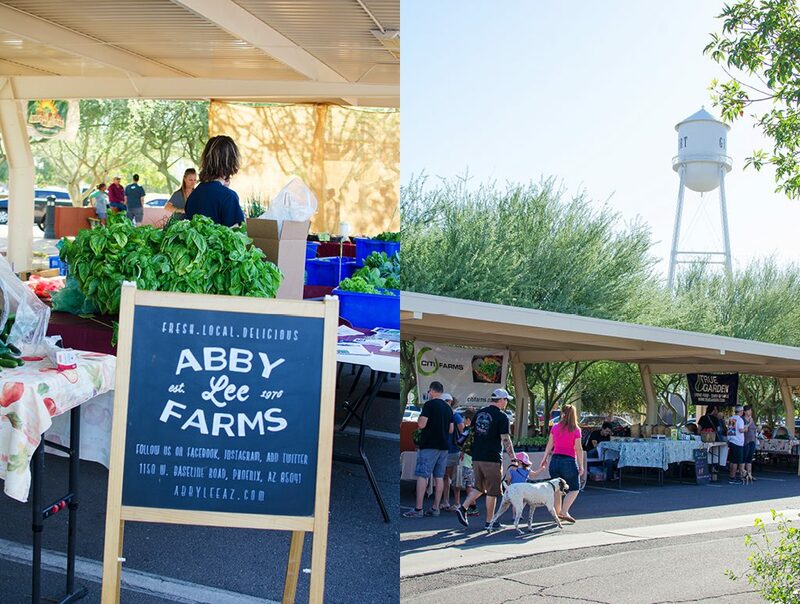 In addition to providing fresh local produce, the Gilbert Farmers Market educates the public about local food by providing them an opportunity to personally meet with farmers and other local vendors to learn where their food comes from and how it’s grown and produced. 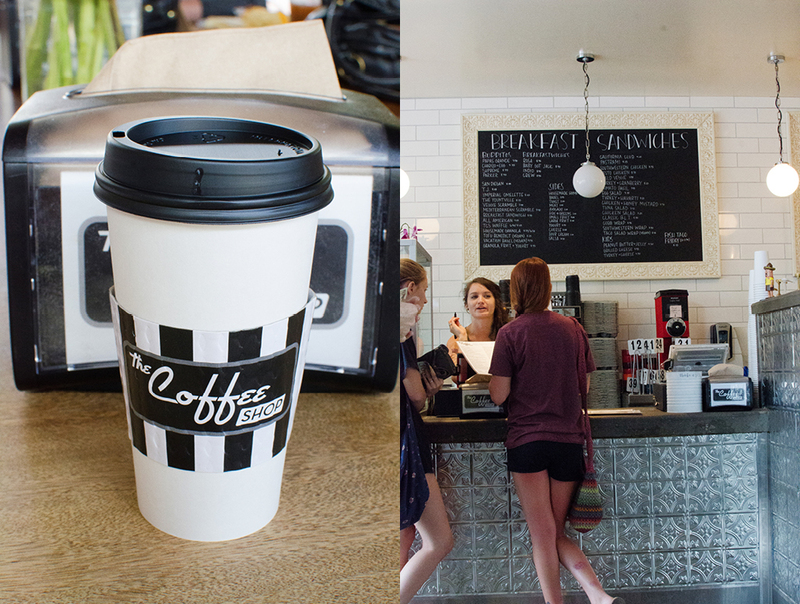 It first opened in October 2010 with less than 30 vendors. 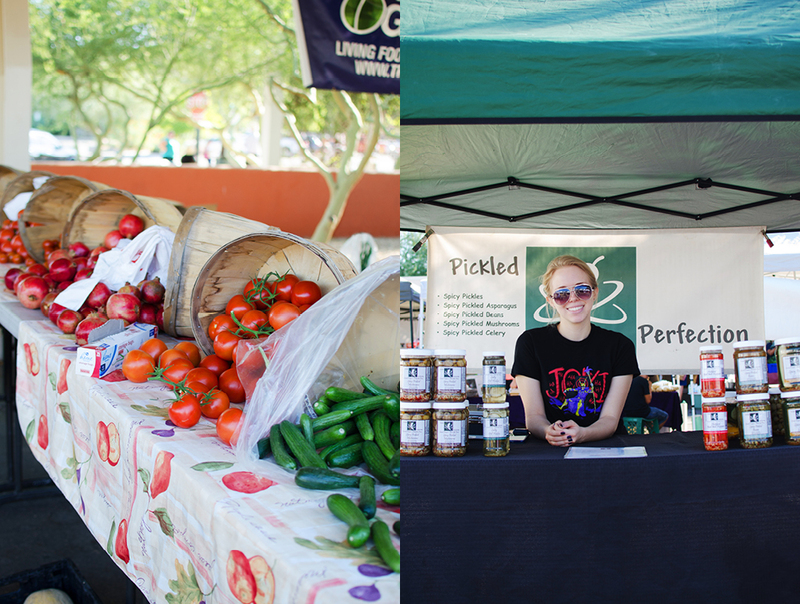 Today the Gilbert Farmers Market features more than 60 vendors during the summer, growing to more than 100 in the fall. 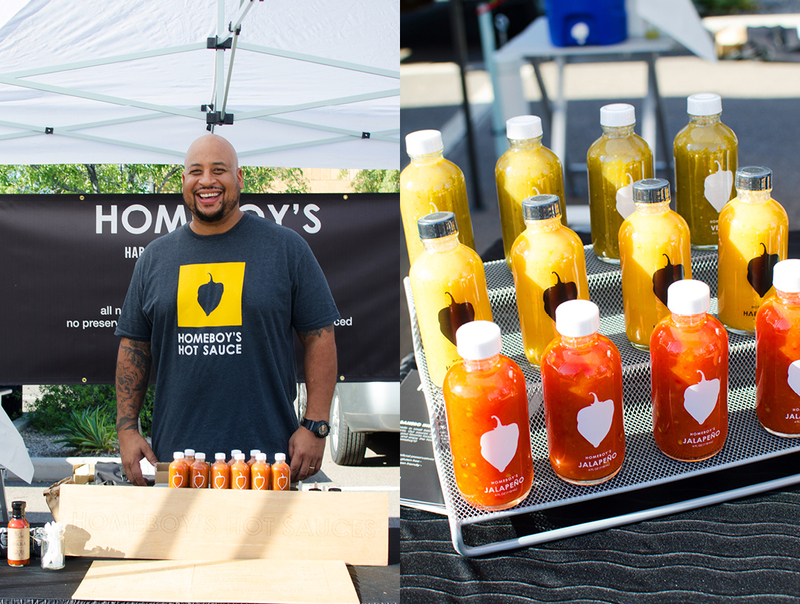 One of our favorites was the booth for Homeboy’s Hot Sauce. 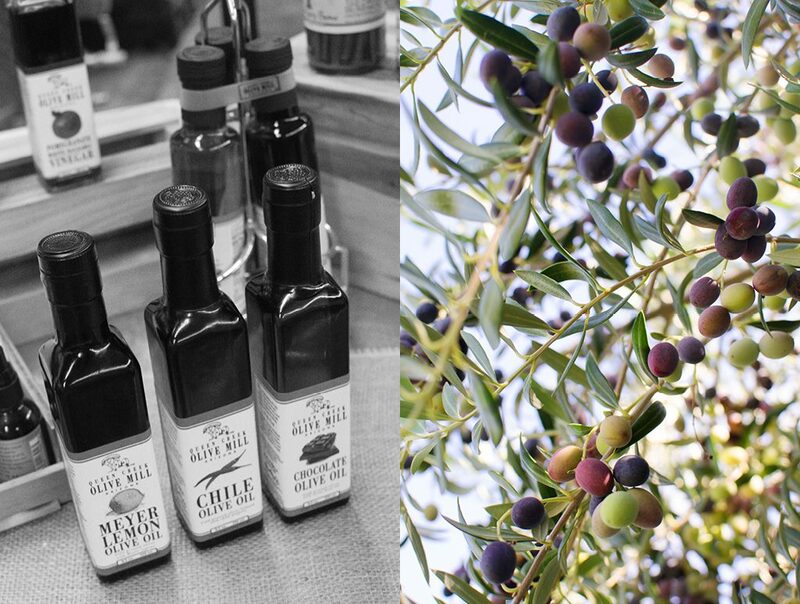 Their small-batch, handmade sauces, all made with fresh ingredients, are a great souvenir to take home, and a great way to support a local small business. 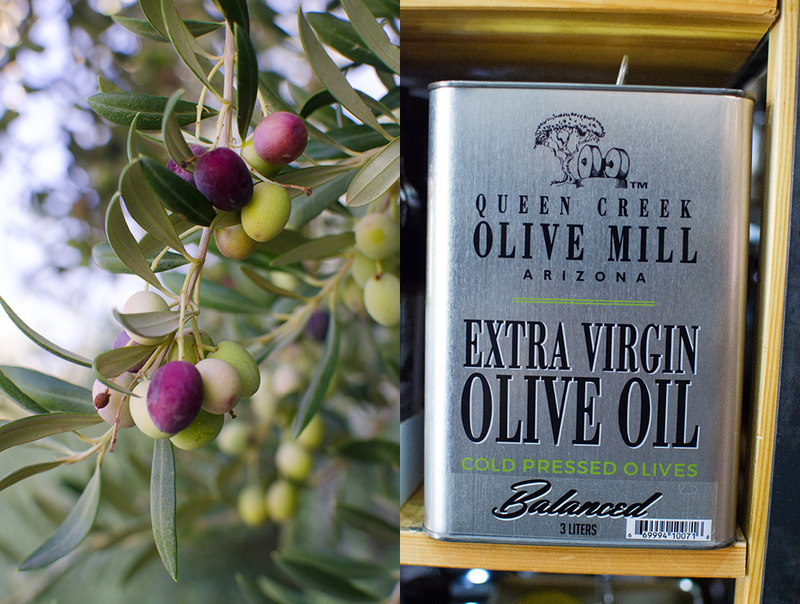 Queen Creek Olive Mill, is Arizona’s only family-owned and -operated working olive mill and farm, where olives are grown and pressed for the production of high-quality extra virgin olive oil. 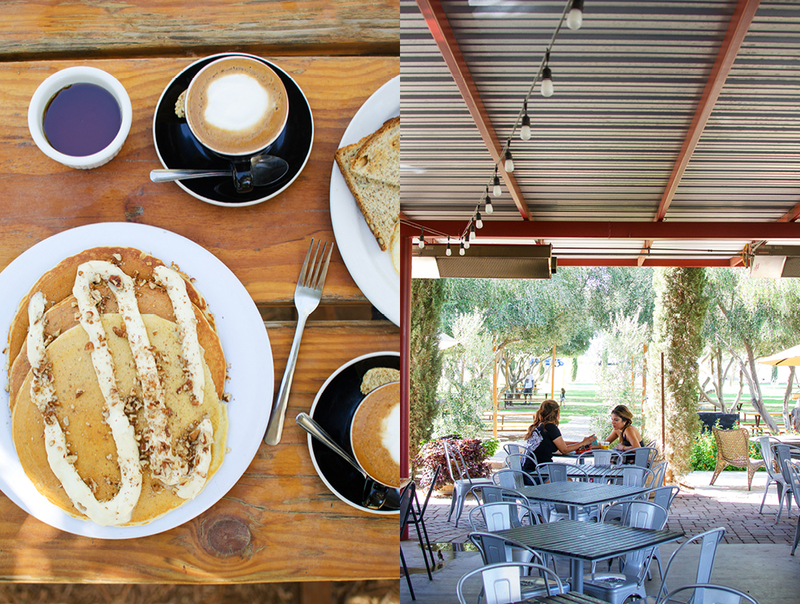 With a variety of culinary, shopping and educational experiences, there is much to do at Queen Creek. 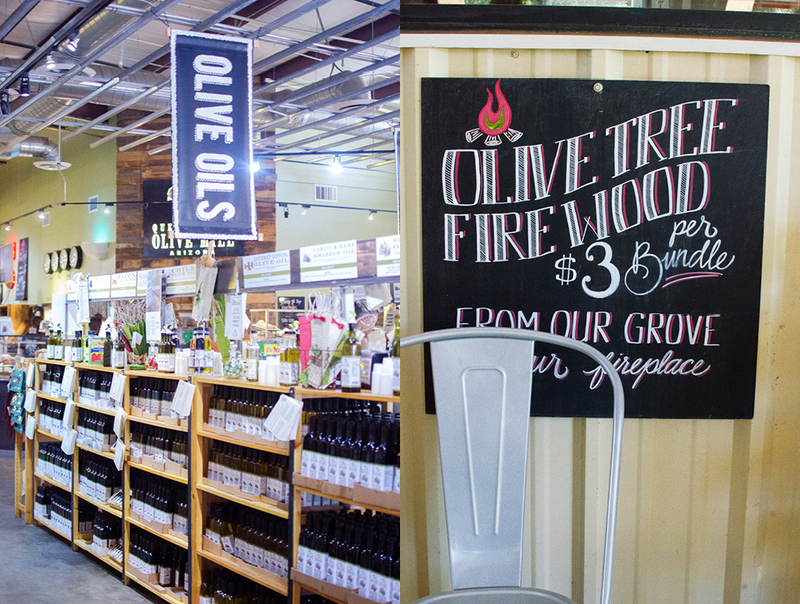 Take their Olive Oil 101 tour (offered hourly) and enjoy complimentary tastings of oils, olives, vinegar and more. Visitors are invited to dine at the Mill’s Tuscan-inspired eatery featuring fresh gourmet sandwiches, soups, salads, gelato, and their own in-house fresh-roasted espresso. After our early tour and some time browsing the many olive oil products on offer, we had worked up a good appetite for breakfast. 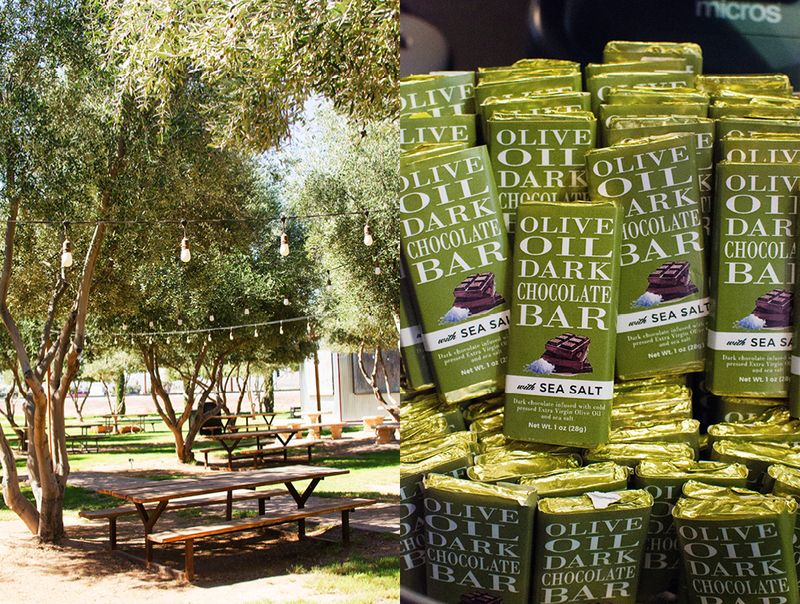 We took our meal out under the olive trees enjoying the warm morning sun. 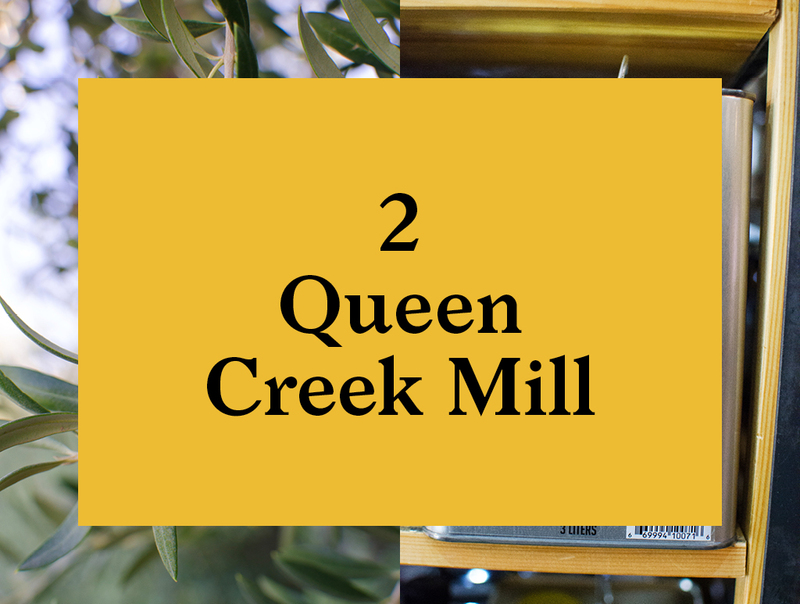 Queen Creek is a great way to eat well, learn about olive oil, and pick up your supply of olive oil at one of the few American olive oil producers. 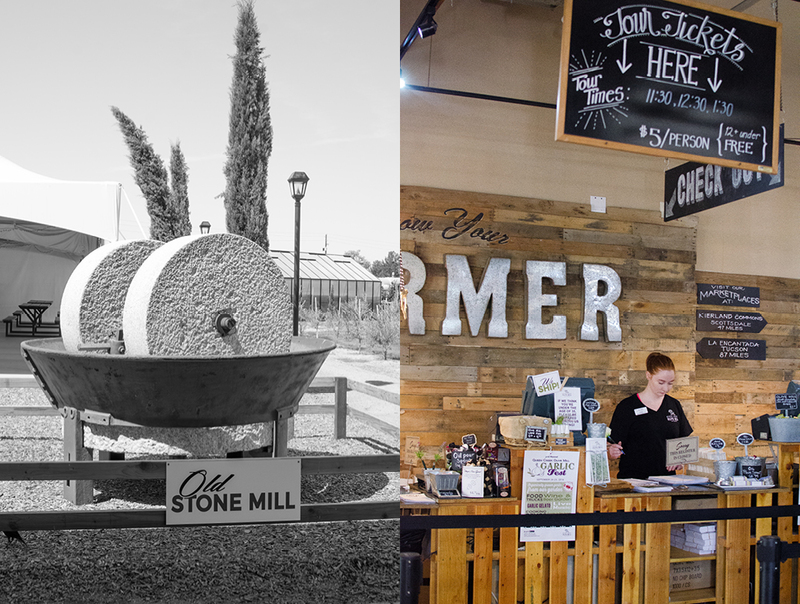 At the edge of rapidly expanding Mesa, a planned community has been developed around the old Johnston family farm. 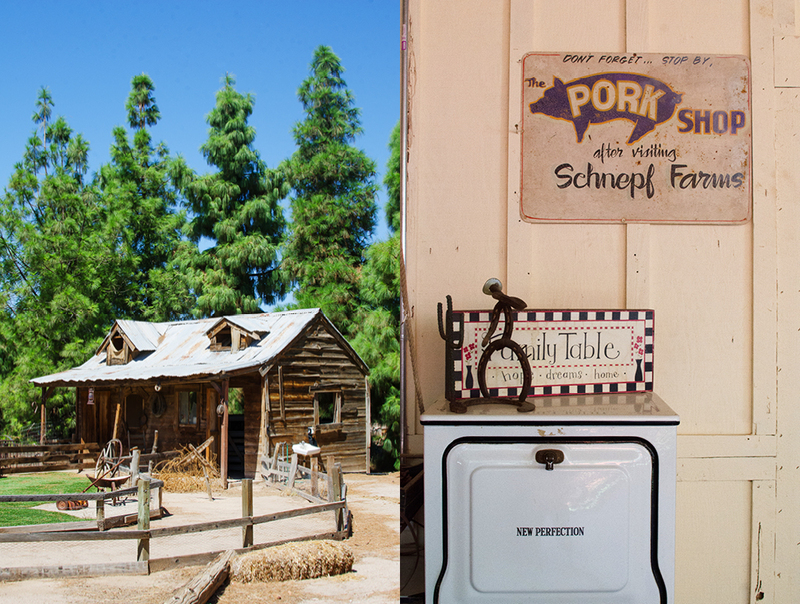 The farm, which used to be outside of town, is now enveloped by the new community called Agritopia. Maintaining the family-farm structure, rather than a huge field of one crop, the Johnston farm has a patchwork of gardens with numerous seasonal specialty crops. The houses of Agritopia are connected by intersecting pathways allowing residents and curious visitors easy access to observe or help farm the crops growing on the fertile landscape. 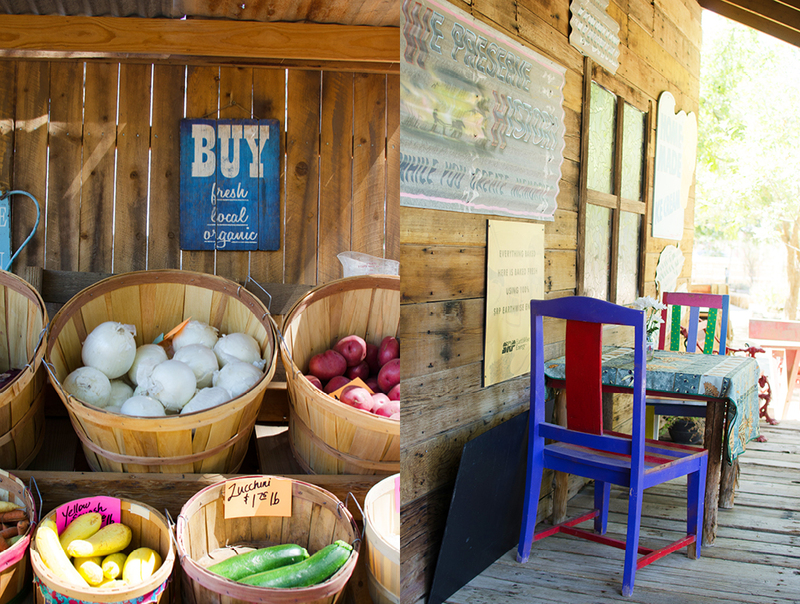 And not too far from the farm is the road-side stand where the fresh-picked bounty can be purchased daily. But there is another, easier way to experience the fresh food from the Agritopia. 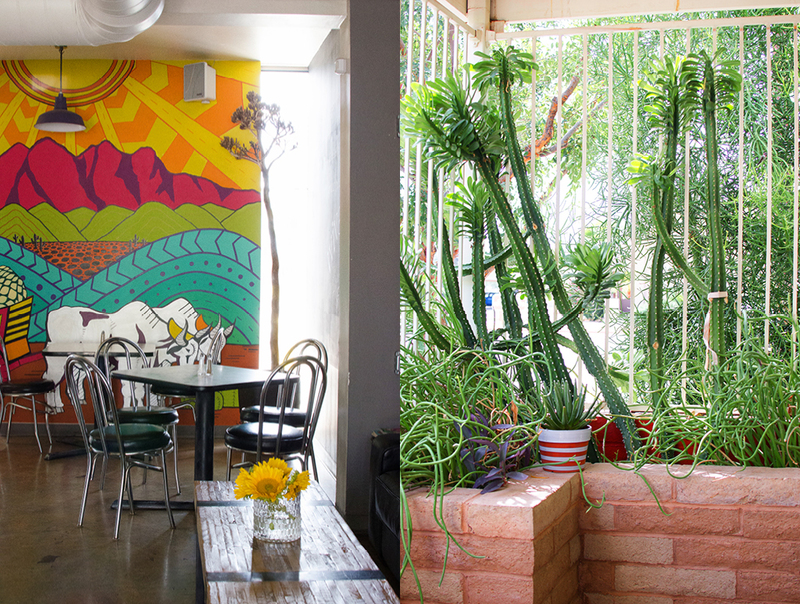 Within the community, two restaurants have been developed out of the remnants of the old Johnston family homestead creating an inter-community Mesa food scene of their own. 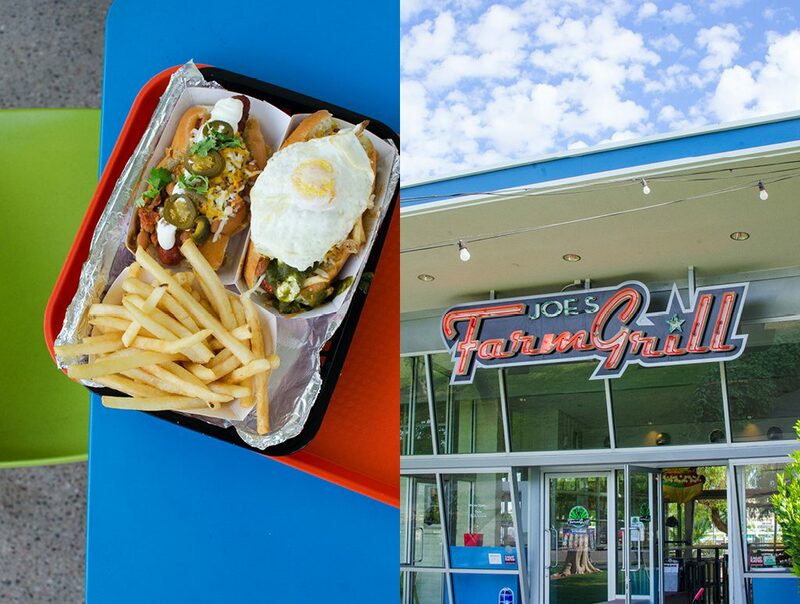 The first is Joe’s Farm Grill, a modern take on a 60s-era diner. 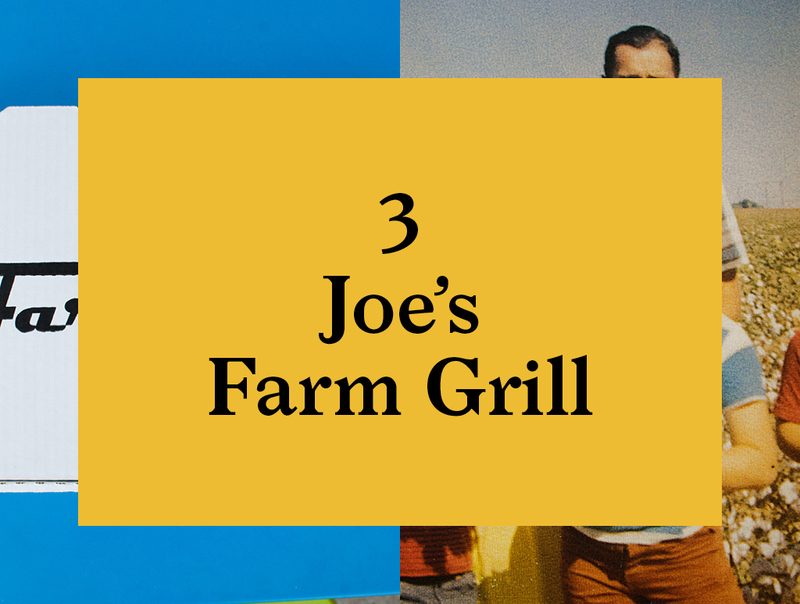 The menu showcases classic American fare with farm-fresh ingredients … of course. 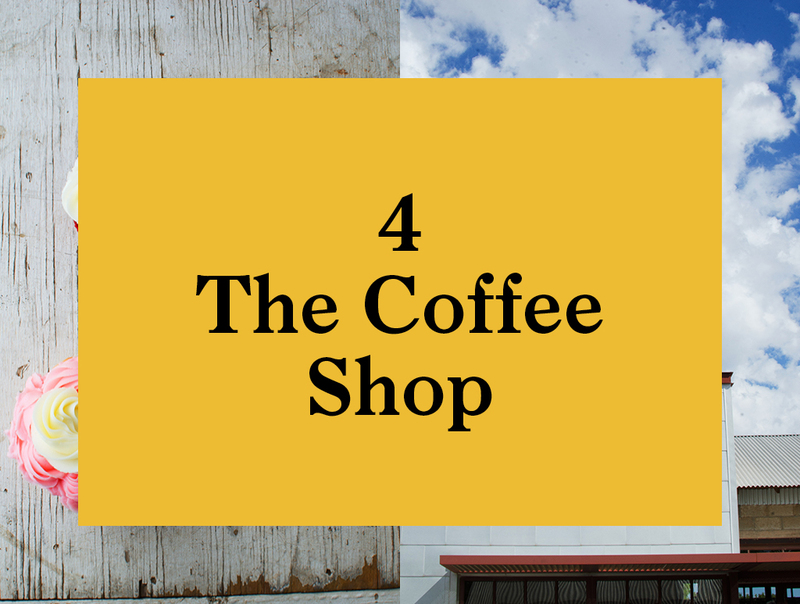 And adjacent to Joe’s is The Coffee Shop, a place for the community to meet and do the kinds of things that are better done over coffee. 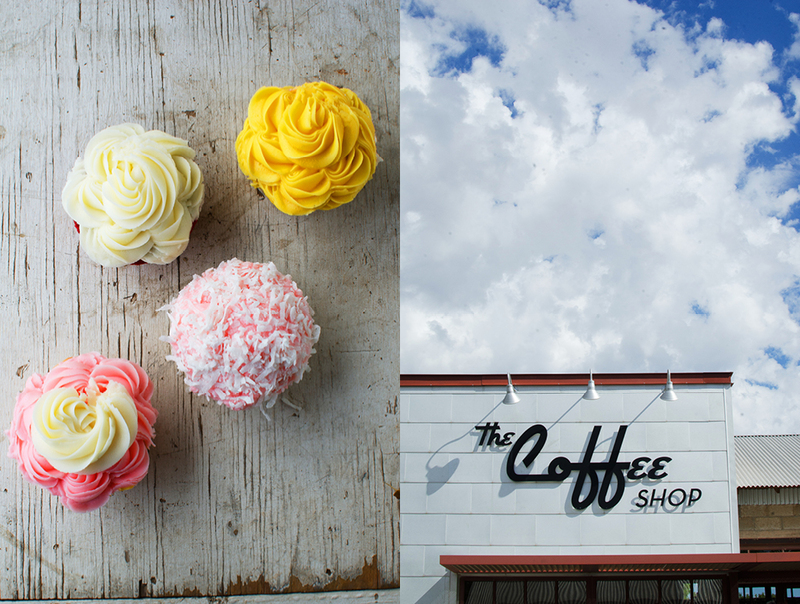 No self-respecting coffee shop is without its sweets, and this is where The Coffee Shop excels, with a specialty in cupcakes. As you can see they look amazing, and I can attest, they taste as sweet as they look. The entire community encompasses 160 acres with 15 of those dedicated to farmland. All produce is grown to meet the USDA organic protocol. How lucky are the residents of Agritopia to have this ready supply of fresh organic food grown in their backyard year round! 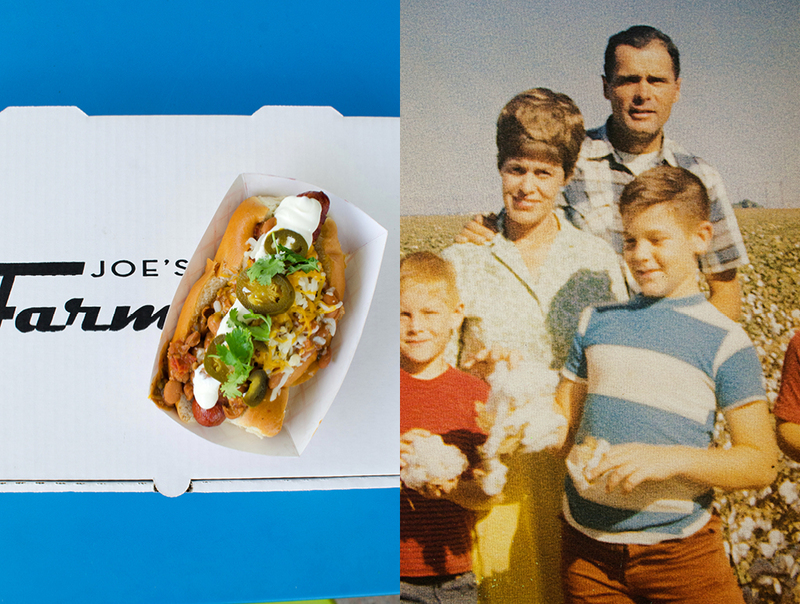 Stop by for a hot dog at Joe’s Farm Grill and the award-winning cupcakes at the Coffee Shop. 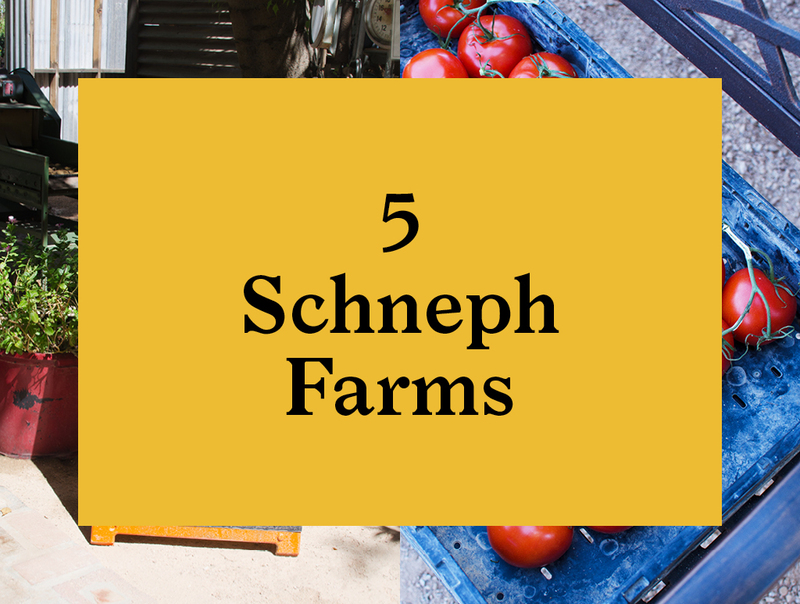 Back in the charming town of Queen Creek, on the outskirts of town, you can explore the one-of-a-kind example of the Mesa food scene, Schnepf Farms. This fourth generation family farm, and largest organic peach grower in Arizona, is not just a working farm, but a place you can come and experience Arizona agriculture at its finest, hands-on. 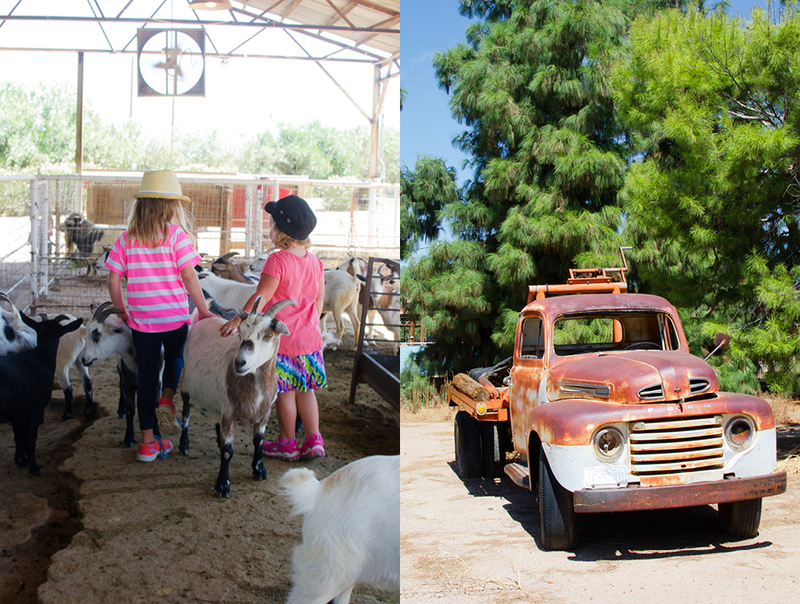 If planning a day trip, make sure to visit the website and see what’s happening on the farm that week. 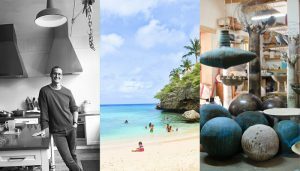 Guests may be able to experience everything from peach picking to watching a historical re-enactment, enjoying a classic car show, or an antique craft fair, fireworks, one of the unique seasonal farm festivals, ice skating, or just picking veggies in the u-pick garden. Open 10 months a year, from just after Labor Day through July 4th, seasonal events include Pumpkin and Chili Party (October), Winter Wonderland (December), Peach Blossom Festival (February), Dinner Down the Orchard (Spring), Easter Egg-excitement, and 4th of July Fireworks Celebration. 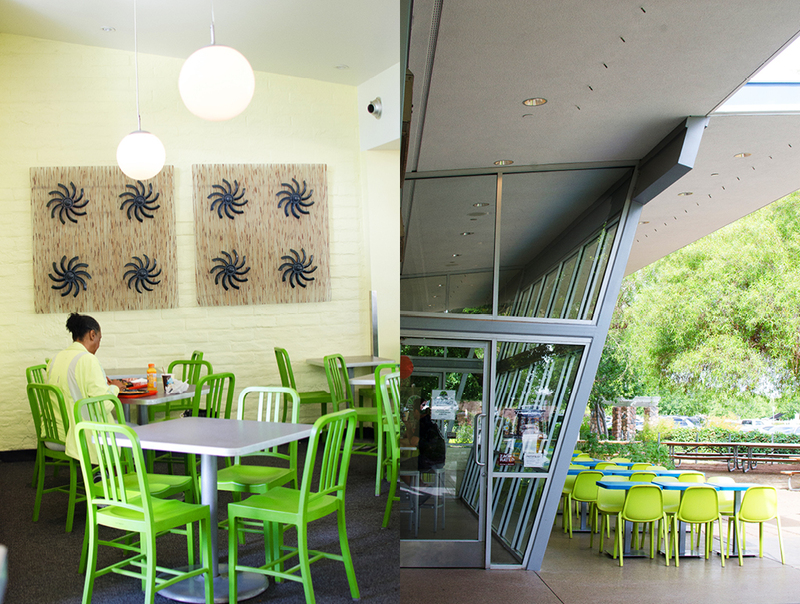 It’s a great place to come with kids in tow. 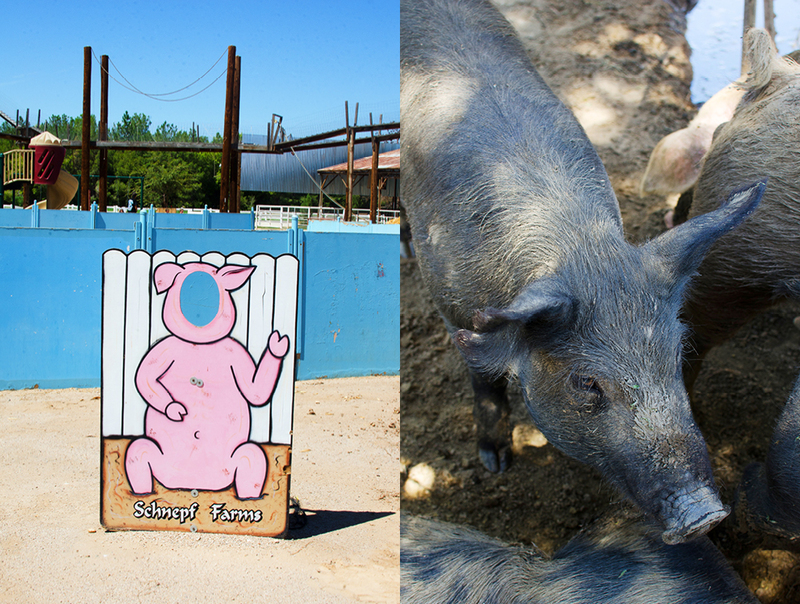 As we did, they will especially love visiting the petting farm. 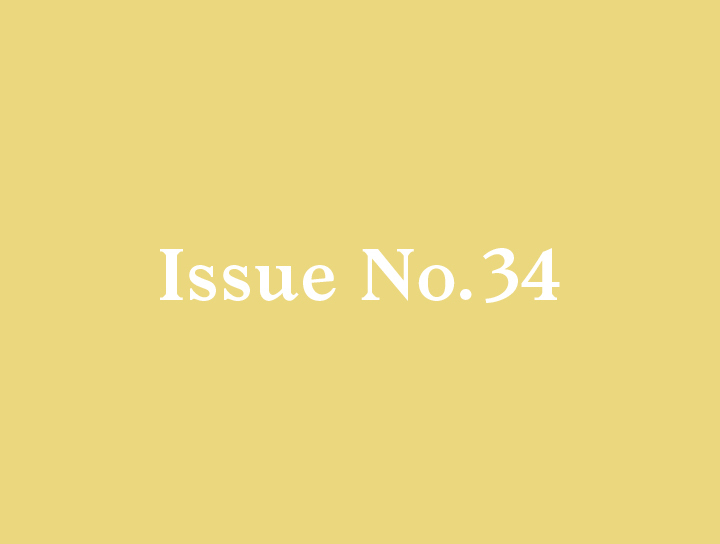 It’s thought that the idea of urban gardening developed out of the European system of allotment gardens. These gardens, similar to the plots found around medieval cities, first appeared around the edges of European towns in the 18th century as industrialization took over what had previously been a predominantly agrarian society. Then European immigrants brought the idea to the United States where it became an important means of food security in poor urban areas such as Boston and New York. 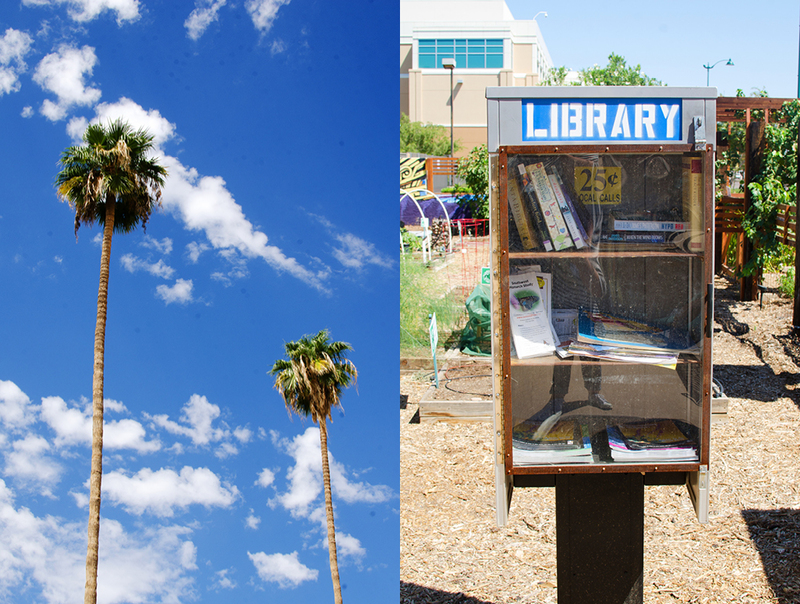 A long way from the East Coast in the Southside Heights neighborhood of Mesa, The Mesa Urban Garden is a classic example of this old idea of communal food production. 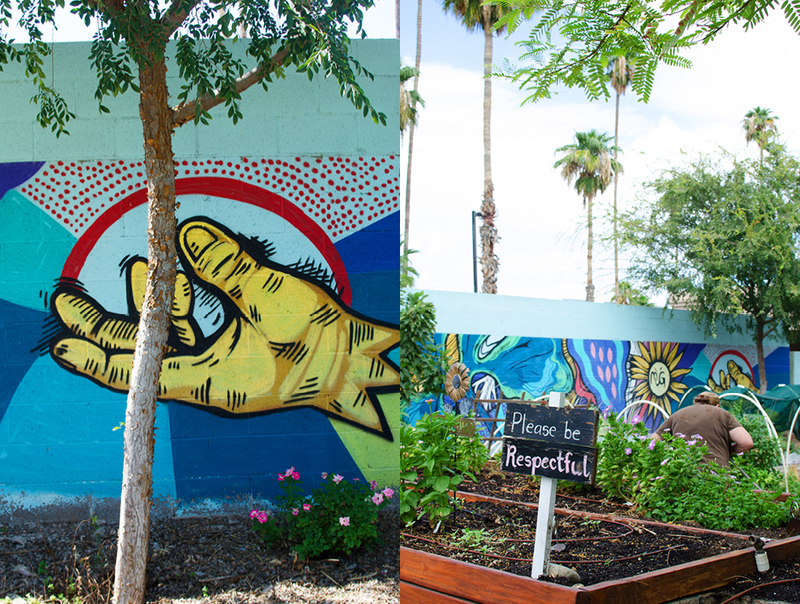 The Mesa Urban Garden features stunning murals by local artists bringing vibrant life to the walls of the garden. 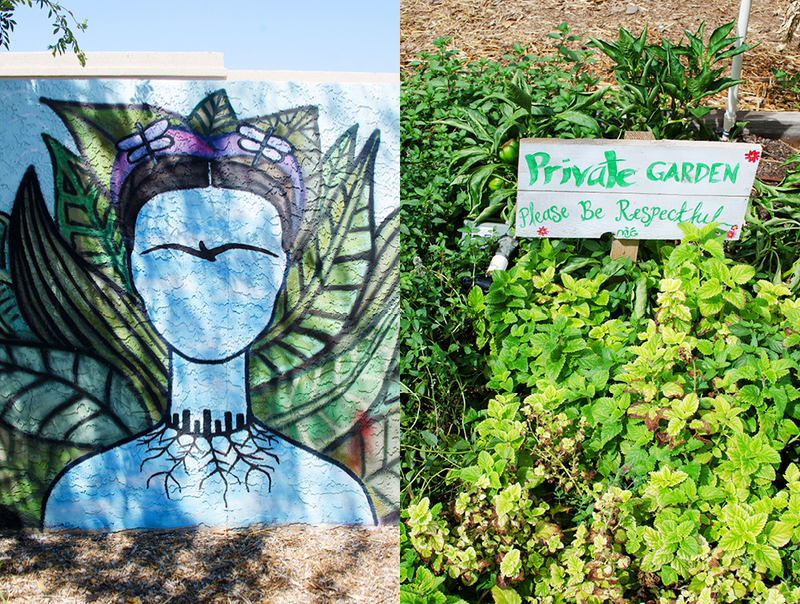 And beyond the food production, a variety of events are held in the garden, bringing the community together. 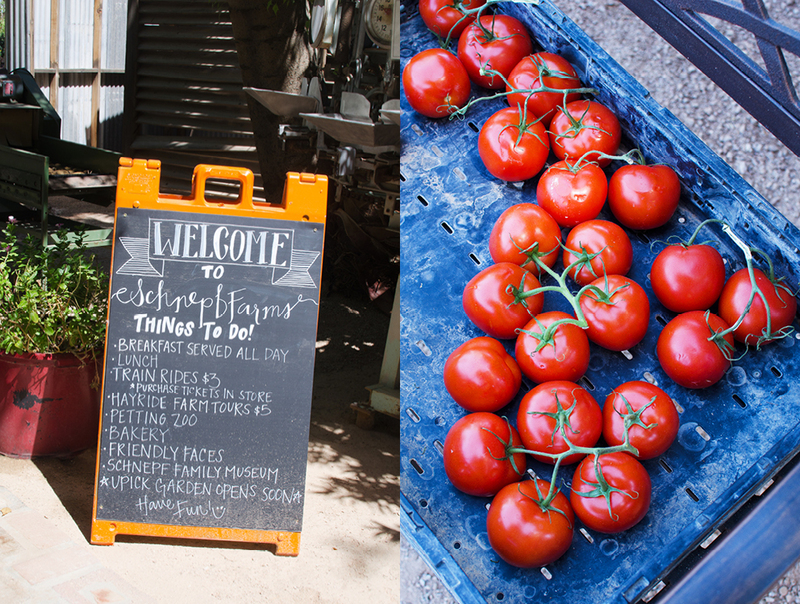 What a great way to meet locals to celebrate their hard work and tasty seasonal bounty. 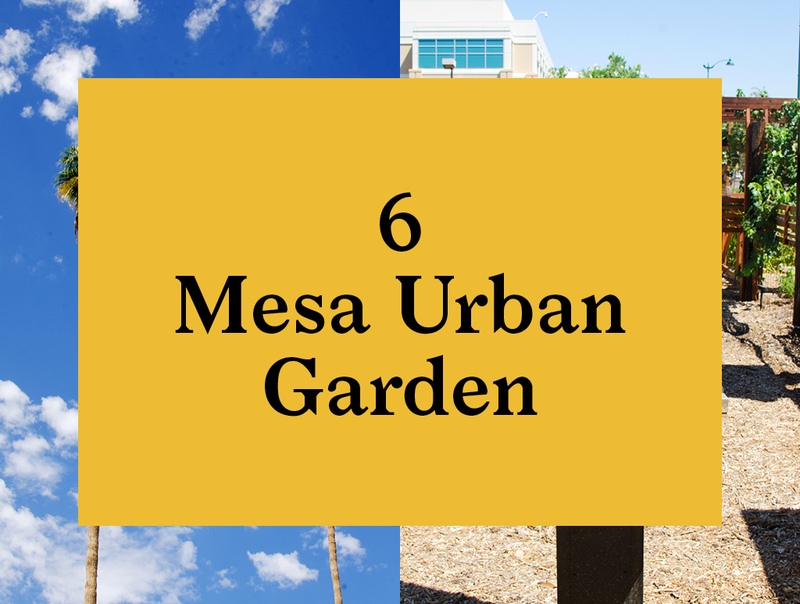 You can visit the Mesa Urban Garden any time. It is normally a peaceful park-like atmosphere but even better when an event is on. Check their website for details. 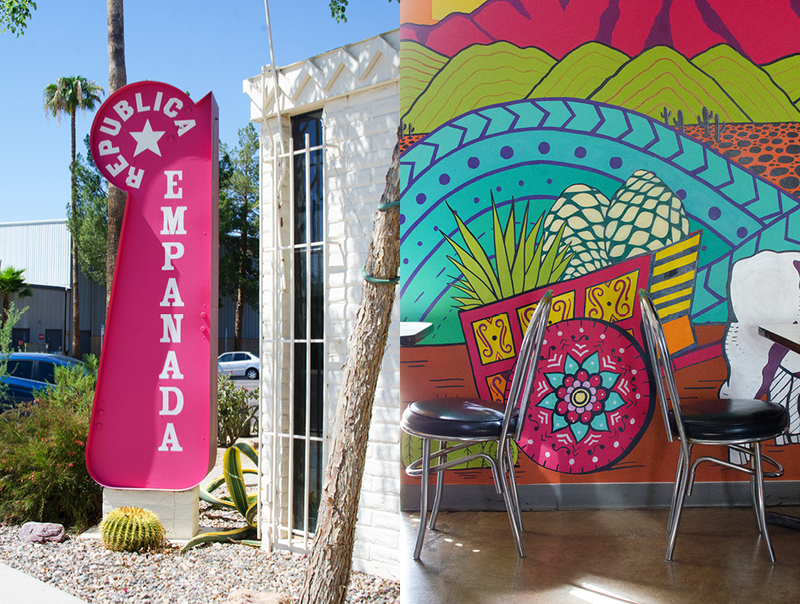 Leaving the best for last … it’s about lunch time and we head right next door from the Mesa Urban Garden to República Empanada. 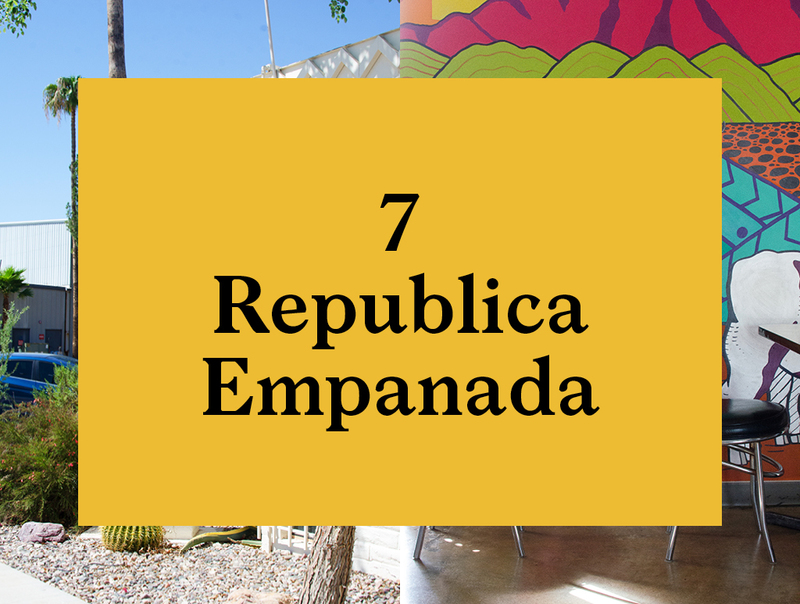 República Empanada is owned by husband-and-wife team, and longtime Mesa residents, Edmundo and Jinette Meraz. 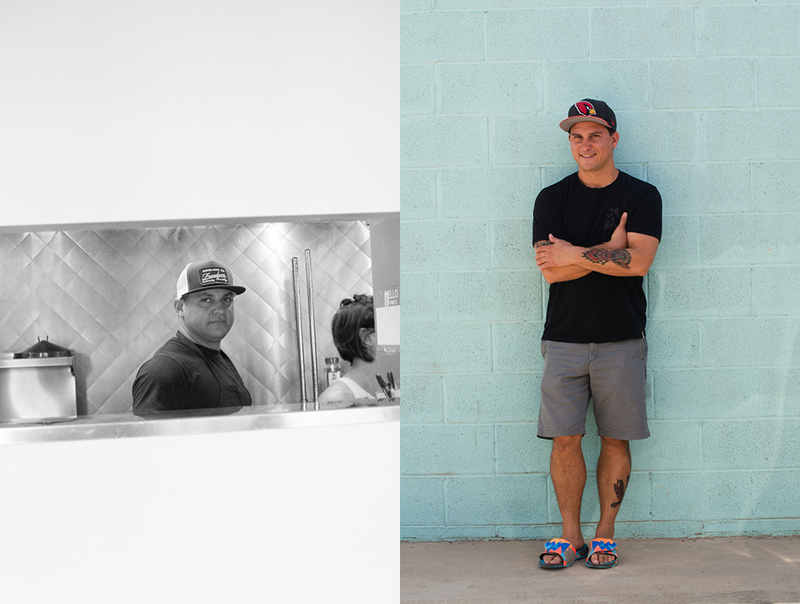 The two started out selling their empanadas from a cart at a local co-op before taking the leap in early 2016 to open their first restaurant. In the new restaurant Jinette heads up the kitchen, son Marco manages the restaurant, while sister, brother, cousins and dad make sure all the customers are happy. 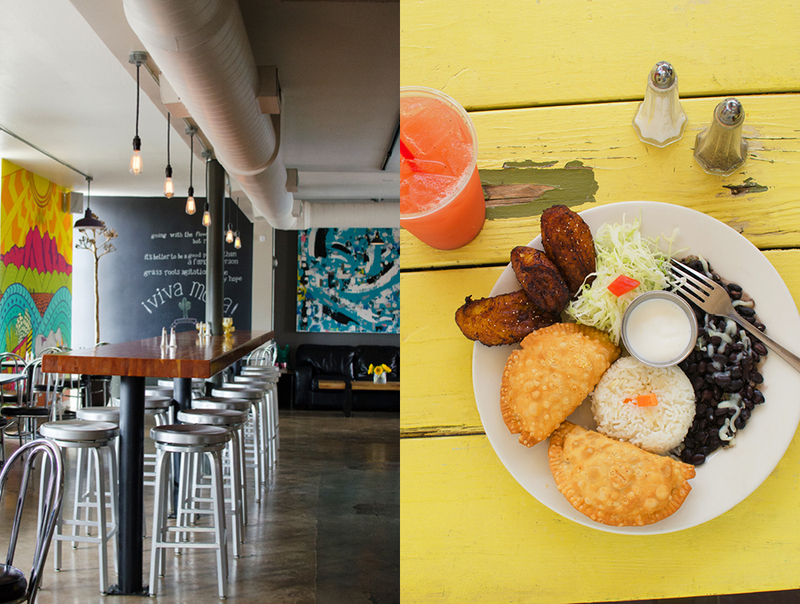 The empanadas, of course, are amazing—there are many great varieties to choose from. 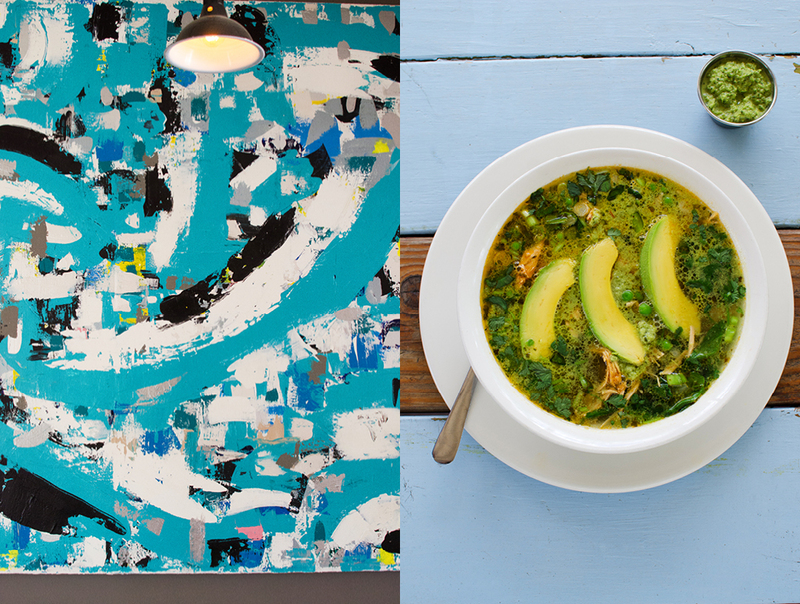 However, Jinette’s pièces de résistance is her “Sopa Verde”. 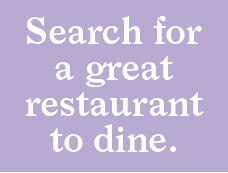 Definitely a dish worth making the trip for. 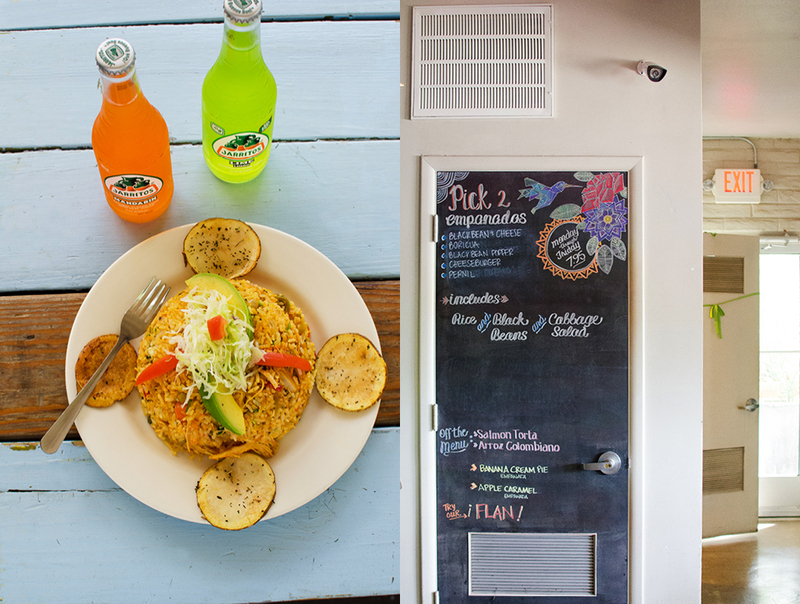 Fresh and tasty, and oh so simple. It is one of my favorite dishes of the year. 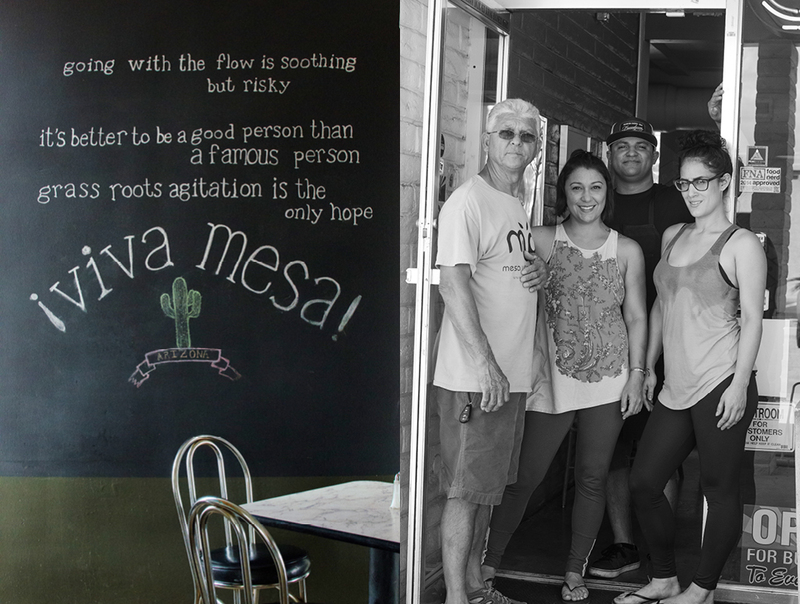 We have a fantastic dining experience with the Meraz family’s República Empanada. 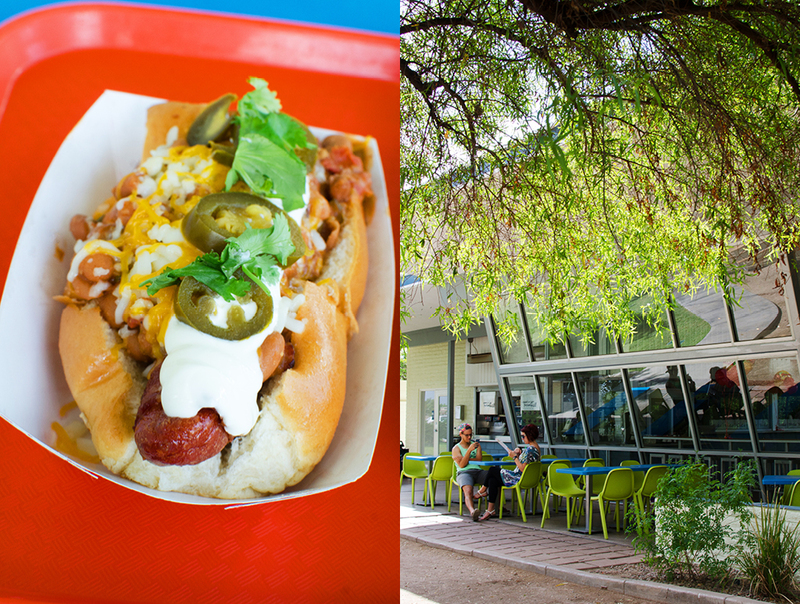 A high note on which to end our fresh Mesa food tour. Planning a trip to Mesa? Here is the current weather and what to expect for the next few days.